I hope you had a relaxed weekend. We certainly did. 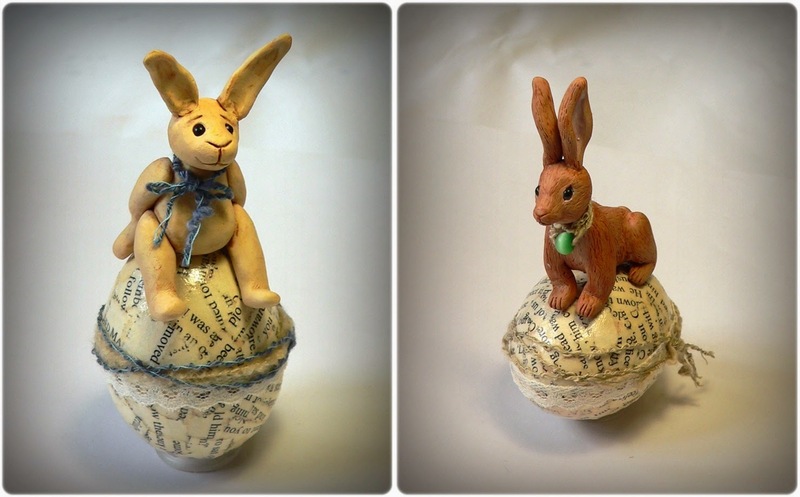 On Saturday we made polymer clay Easter bunnies here at Tin Soldiers and wow, it was inspirational to see the ladies putting their own interpretation on the theme. Yesterday I was very good, didn't eat a single Easter egg, and I nearly completed three tutorials for Project 52. Lesson 4 coming up later today, followed by more this week. On Saturday 5 April we have the first Panda workshop here in the studio. I'm starting to panic, she still doesn't have a name! Anyone want to help me out with that? There will be another panda workshop on 3 May. Patterns and kits for the project will be available if you can't attend a workshop. I'm busy putting finishing touches to my panda, you will see the result in a few days. Wishing you a super creative week.